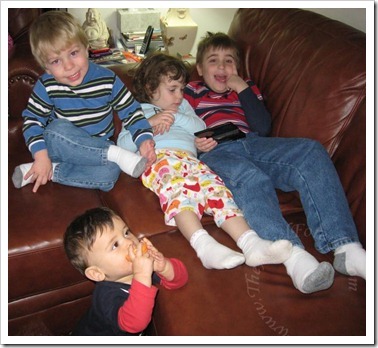 On Thanksgiving day we confused you and your cousins a little. 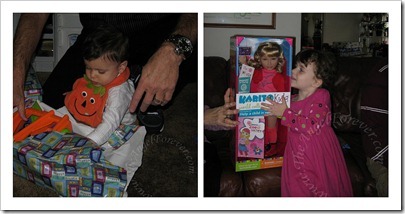 We decided to exchange Chanukah gifts with cousin SG and BA. Since it was less than a week before it started and we will not be seeing them during the holiday, it made a lot of sense to the adults. 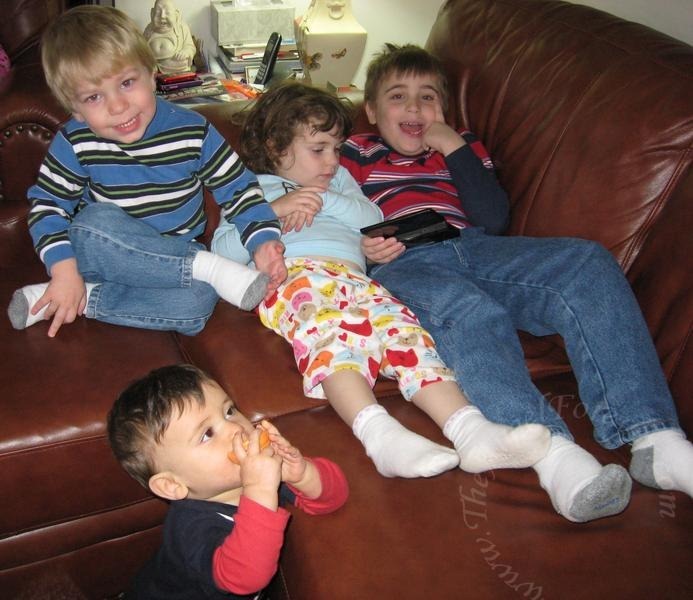 Here are the four cousins all together at Nana and Papa’s house. 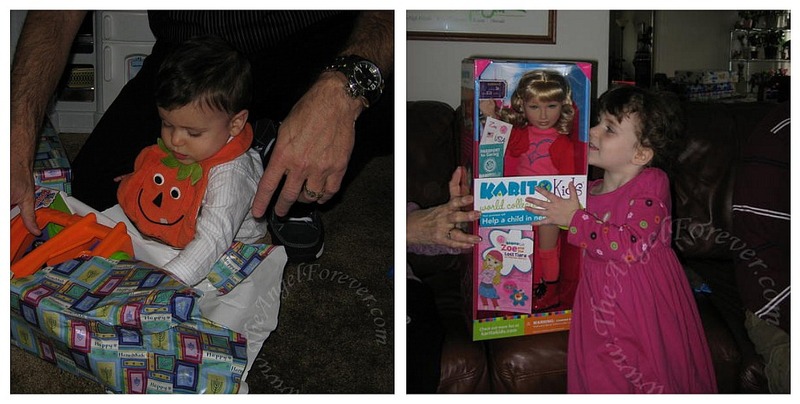 Then it was time to open the presents. Cousin SG and BA started with theirs first while the two of you waited patiently. The two of you received a cool container filled with dozens of dinosaurs. Along with this JSL got an iXL Toy Story 3 game and NHL a Cars Mater game for the Nintendo DS. Then I was in love. 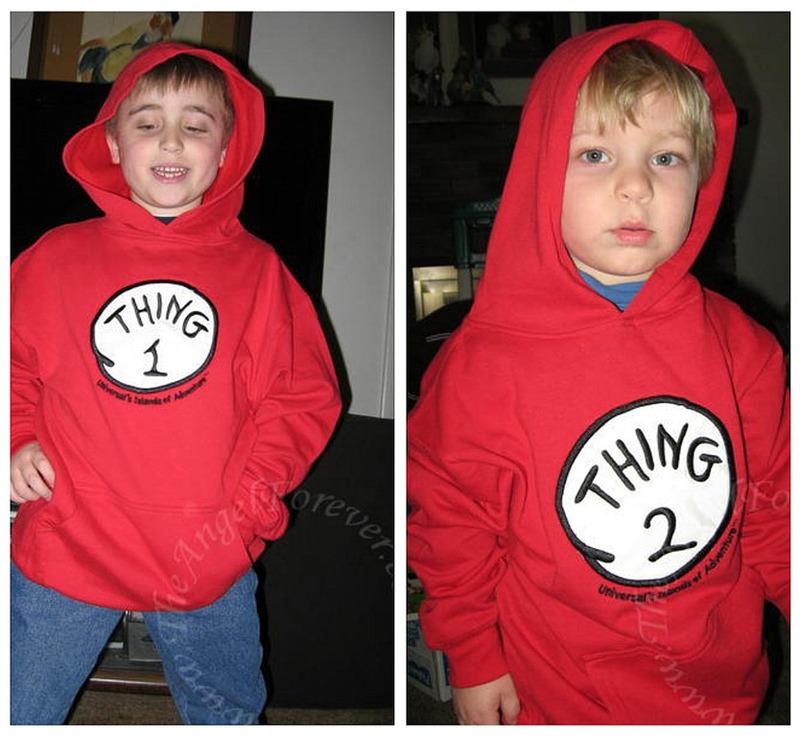 When Uncle I and Aunt M were in Florida a few weeks ago, they asked sizes for the two of you. I knew that they had gone to Islands of Adventure and thought about asking them to buy you something. They must have been mind readers since they bought them as part of your Chanukah present. 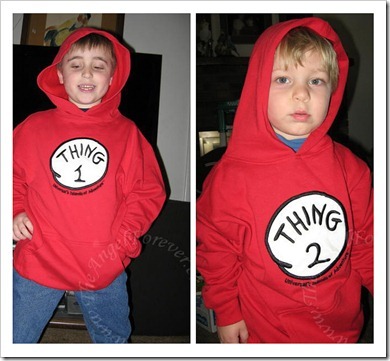 What the two of you may not remember is when JSL was born Daddy and I started to lovingly call you Thing 1 and Thing 2. That first Father’s Day we actually bought Daddy a Thing 1 and Thing 2 set at Build-A-Bear Workshop and he still has them in his office. I can not wait to see the two of you wearing these since they have so many fun memories. I love your letters to the boys. I can’t seem to remember what day is Saturday usually although I wish I would. :) Their shirts are so cute! Perfect for 2 little boys. Have fun this week with Hanukkah and I am so sorry to hear about your problem. Hopefully that resolves itself without too many more problems for you guys.